mamahall: what's in your swagger wagon? what's in your swagger wagon? from the outside, my SUV does not look like a mom-mobile. unless of course you happen to notice the "Hall College Prep Academy Honor Students" bumper sticker, or the Fort Worth Children's Museum Parking Pass stuck in the dash, or unless you look really closely at the finger print smudges around the bottom of the doors. other than that, my ride looks like your average gas-guzzler driving down the road. or parked at Chuck E. Cheese. but look inside? and it's 110% a mom-mobile. lots of trinkets and treasures floating around the seats and floorboards. bits and pieces of evidence that prove a mom drives this SUV. i take pride in that stuff. it's character. it's personality. i'm proud to be an SUV-driving Mom. in fact...i call it my swagger wagon. 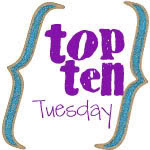 cleaning it out today, i came up with my Top Ten Tuesday list. just for fun watch this. rock out & embrace your swagger wagon. fun, right? now go link up your Top Ten Tuesday at OhAmanda.com!